Ingar Figenschau – War Remains as Cultural Heritage: Rescue operation or awkward embrace? 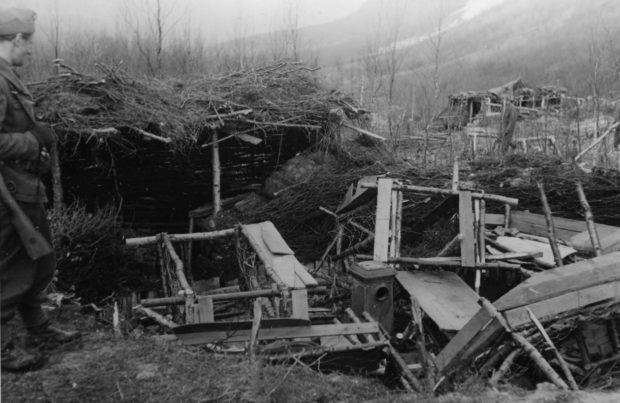 Norddalen in Troms County, Norway, is today a relatively secluded valley, but within grim and dark winter months in 1944-1945 war crimes took place under the direction of Nazi ideology and about 150 Russian prisoners of war lost their lives under the hand of the Third Reich. In the aftermath of the postwar period the valley and its nature has reclaimed and grown together with the remains of war, somewhat hidden from the public eye. Even today, this area is abundant in war remains, but has received little attention from academia or heritage management. While long “forgotten”, as subjects of a difficult and often overlooked history, these and other remains of war are today in the process of being included in the category of cultural heritage, and as such of significance in a local and national historical sense. Prisoner of war camp Mallnitz, June 1945. Mallnitz became a death camp where many prisoners were sent to die. Photo: Bjørn Winsnes/Narviksenteret. This article looks at which factors comes into play in the transformation of the war remains, from being actively forgotten and omitted from an official, and in many ways canonized recollection, to be incorporated and categorized along with conventional cultural heritage. An important concern of this article is to critically scrutinize the transformation and transition from war remains to becoming heritage. Based on The Directorate of Cultural Heritage conservation strategies and The Ministry of Environment initiatives around war remains and cultural monuments, the article investigates the consequences of a possible heritage protection. One of the main questions is whether and if protection will benefit war remains, or whether their incorporation into a category of cultural heritage will transform and waive them their individuality, character, value, existential dynamics and peculiar significance. Will a transition from being war remains to become heritage be at the expense of the structures and the things peculiarity and temporality? The material traces from the war are still present in an unresolved and ongoing decay. 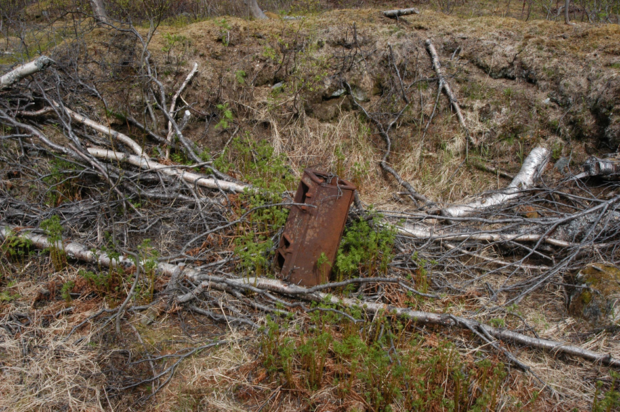 A skewed furnace still stands in place in the prison camp Mallnitz, June 2015. Foto: Ingar Figenschau, Universitetet i Tromsø. This article discusses how dilapidated material heritage could be understood as something more than just an abject phenomenon. Archaeology of the recent past offers an opportunity to consider such things from a more nuanced perspective that don’t dismiss them out of hand. These nuances shed new light on how dilapidated things shape our experience of the recent past. The discussion is based on Retiro, a derelict 19th century landscape garden and country estate located in the town of Molde on the northwestern coast of Norway. The description of Retiro is based on data gathered from field-surveys conducted by the author, articles from the local newspaper and other historical sources. Central themes are the relationship between persistence and loss regarding the dilapidation of the recent past, the aesthetic aspects of derelict things, and the tension between historical representation and the present material situation of the ruinous Retiro property. The article argues that dilapidated and abandoned heritage opens up a space and material condition for confronting the past that is different from meticulously curated and arranged things. Dilapidation is not necessarily something strictly positive or negative, but rather a fundamental fact of the material world that we inevitably have to live with or think about, one way or another. 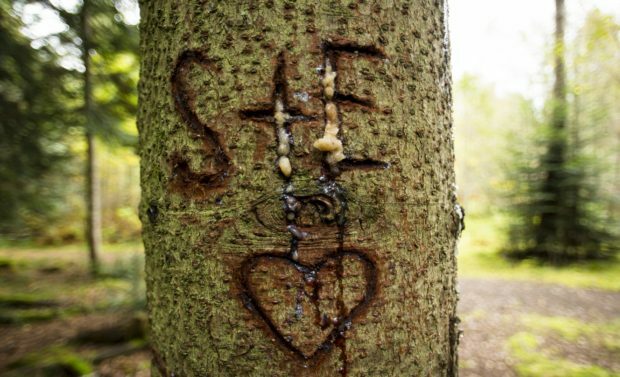 A declaration of love carved into the trunk of a silver fir at the eastern bank of the “Atlantic Ocean” pond. Photo: Stein Farstadvoll. Hein B. Bjerck – Fire station in the rear mirror. Archaeological reflections during the abandonment of the Trondheim Central Fire Station. In May 2015, after almost 70 years of service to the town, the Central Fire Station in Trondheim was abandoned. The fire and rescue service was relocated to a series of more modern stations circling the city centre. 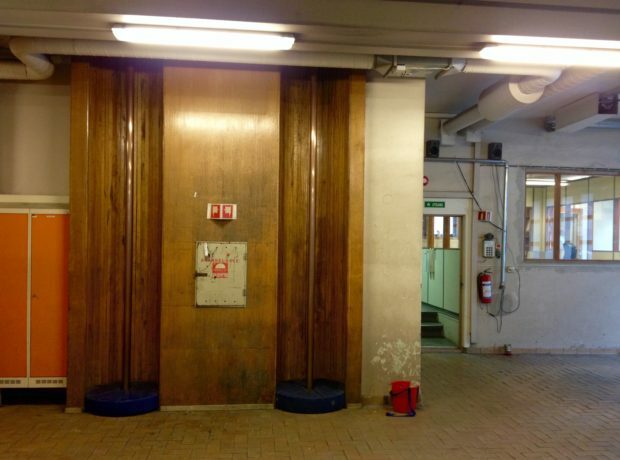 The process of abandonment opened the fire station for closer insights – as part of an art project. The fire station is a telling example of what Bruno Latour (1999) labels a “blackbox”, collectives of humans and things “made invisible by their own success”. Normally, it is the fire squad’s loud and flashing response to emergency calls, firefighting and rescue operations that gets the attention. The fire station itself is a building among others in the town; a garage for the fire trucks, a place for firefighters between operations. The station is now rebuilt for new functions, an institution for contemporary art, a “house of literature” and an office complex. Important architectonical characteristics (façade, the marble staircase, Fire Chief’s office) are still part of the building, but all things that point to the imperative function of the fire station are removed, no rear mirrors to all material memories of the station’s long and faithful service for the town, and with it all other remains from past fire stations at the same spot. “Our present day world is made up of materials from the past” (Olivier 2004) – this also goes for visual arts and literature. The Trondheim Central Fire Station case advocates the need of broader and more reflexive, interdisciplinary and multivocal perspectives in the management of the cultural heritage of our recent past. “Archaeology – the discipline of things” (Olsen et al. 2012) has the potential to make a difference.